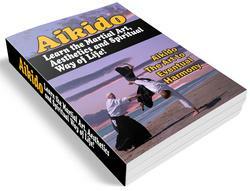 Although a wide variety of striking surfaces is used in karate, the basic weapon is the fist. For our purposes, however, this must be capable of striking surfaces of high resistance with great power and speed without injury to oneself. It is therefore most important that the fist be correctly formed. Starting with the hand open, curl the little finger over until the tip of the finger meets the base. Curl the other fingers in turn finishing with the index finger. Now bend the fingers together from the roots, so that the back of the fist and the front (the first phalanges of the fingers) form a right angle. Finally, bend the thumb firmly over the second phalanges of the first and second fingers. The striking area of this basic fist (seiken) consists of the knuckles of the first and second fingers and should be toughened by regular practise with a 'makiwara'. When striking, be sure that the fist is squeezed as tightly as possible and that the wrist is not bent. Seiken-choku-zuki (straight punch). Starting palm upward from a point just above the waist, the attacking fist is thrust straight outwards, twisting as it nears the target so that the palm is downward at the moment of impact. 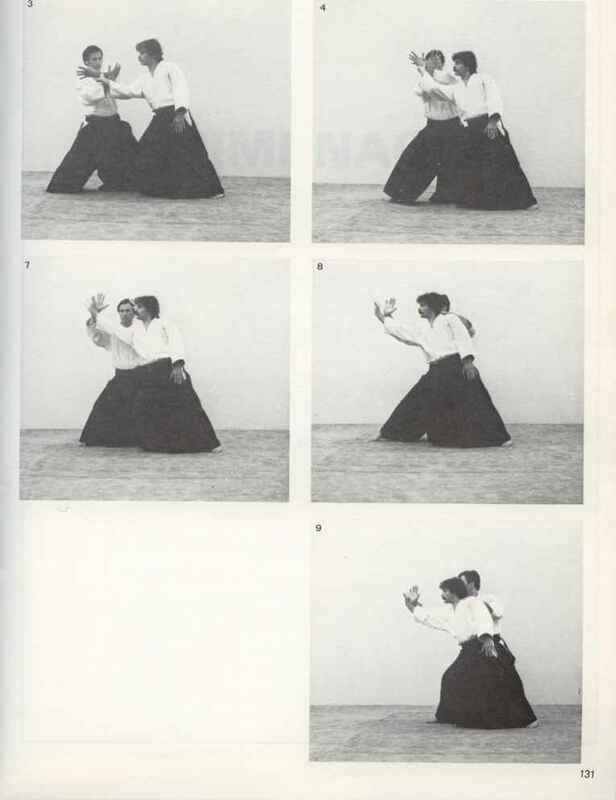 Simultaneously, the other fist is withdrawn sharply to the corresponding starting position, the reaction of this movement adding to the momentum of the attack. As with all the hand techniques, the muscles of arm, back and chest are momentarily tensed at impact, and then relaxed in preparation for the next technique. At no time should the shoulders be hunched. Gyaku-zuki (reverse punch). This is simply the adaptation of the straight punch used when the attacking fist is on the same side as the rear leg usually in 'zenkutso-dachi'. It is very commonly used as a counter-attack after having parried with the hand or arm on the side of the forward leg. When beginning this technique, the hips are at forty-five degrees to the line of attack. Twisting the hips so that at the moment of impact they face the opponent or target squarely (or so that the hip on the attacking side is even a little in advance of the other) contributes enormous power to the technique. Oi-zuki (lunge push). Here the straight punch is used on the side of the advancing leg when stepping forward, usually into the forward or the diagonal straddle stance. It is very useful when closing in on an opponent. With this technique, the hips should remain more or less square. The fist should reach the target at the precise moment at which the advancing foot is planted on the ground. In order to keep a strong balance, be very careful not to lean forward - any feeling of pushing forward into the attack must come from the centre of gravity. Riken-uchi (back-fist strike). Actually, the striking surface here is the back of the two knuckles used in the straight punches. The elbow is pointed at the target, with the fist palm downward. Then, in the downward strike, the fist describes an arc in the vertical plane; in the sideways strike, in the horizontal plane. In both cases, the little finger side of the fist leads until the very last moment, when the fist is flicked over. Both the downward and sideways forms are very often used to attack from the straddle stance to the side, often following an 'empi' attack (see below). Tettsui-uchi (bottom-fist strike). This is also in two forms exactly like the preceding one, except that the fist is not flicked over. The bottom or little finger side of the fist has a wider striking surface and is better for striking soft targets (such as the solar-plexus) rather than the back-fist. Empi-uchi (elbow strike) can be broken down into four separate techniques: - for striking to the front, to the rear, sideways and upward. Begin the forward strike with the fist palm upward just above the waist; finish with the elbow pointing straight ahead and the fist downward against the chest. The angle between the upper- and forearm should be as sharp as possible. The upward strike begins similarly but finishes with the fist close to - and palm facing - the ear. At the finish of the backward strike the fist is more or less in the starting position for the forward and upward strikes, with the palm upward and the elbow pointing directly to the rear. For the sideward strike start with the attacking arm pointing away from the target across the body and the fist or open hand palm upward; finish with the fist palm downward and against the chest. Elbow attacks are very powerful and often used for close-quarters fighting. Be careful to avoid raising the shoulder on the attacking side as this weakens the 'focus'. Shuto-uchi (knife-hand strike). When using the 'knife-hand' or little-finger edge of the hand the palm should be stretched open at impact, the root of the thumb pulling outward but the thumb itself bent inward (so as not to get caught in any loose clothing and possibly injured). Begin the outside strike with the attacking hand palm upward and close to the ear. The elbow is pointing sideways. At impact, the arm is more or less straight in front of the body and the wrist is twisted so that the palm is facing upward. For the inside strike raise the hand to the opposite ear, palm facing the ear. Swing the hand inward in a wide arc and at impact twist the wrist so that the palm faces downward.